To say that pizza is my favorite food of all time would be an understatement. I have ABSOLUTELY no self control when it comes to this food. Hence, I had to create a healthier option for the day when I decide to eat my own weight in pizza. 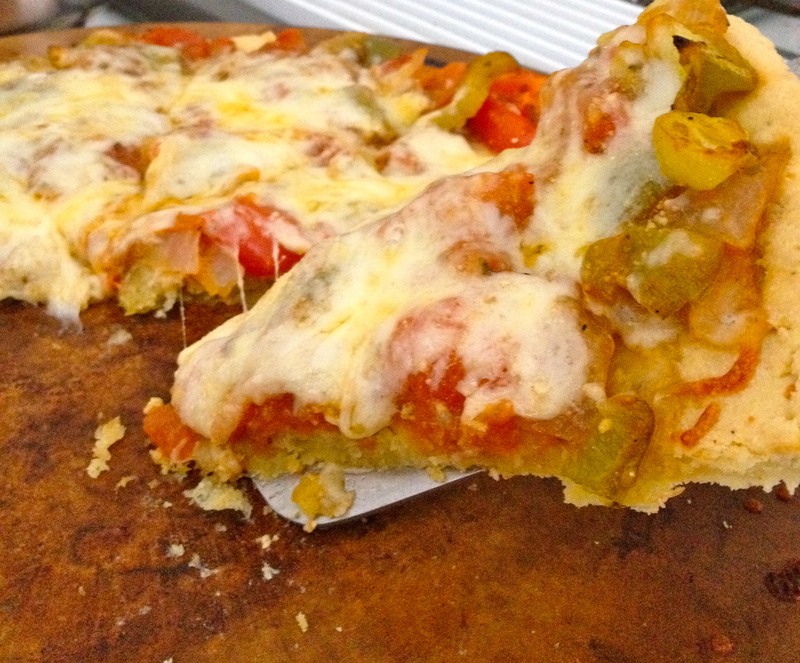 Unfortunately, I attempted to make about 35 online recipes for paleo pizza all which failed miserably. 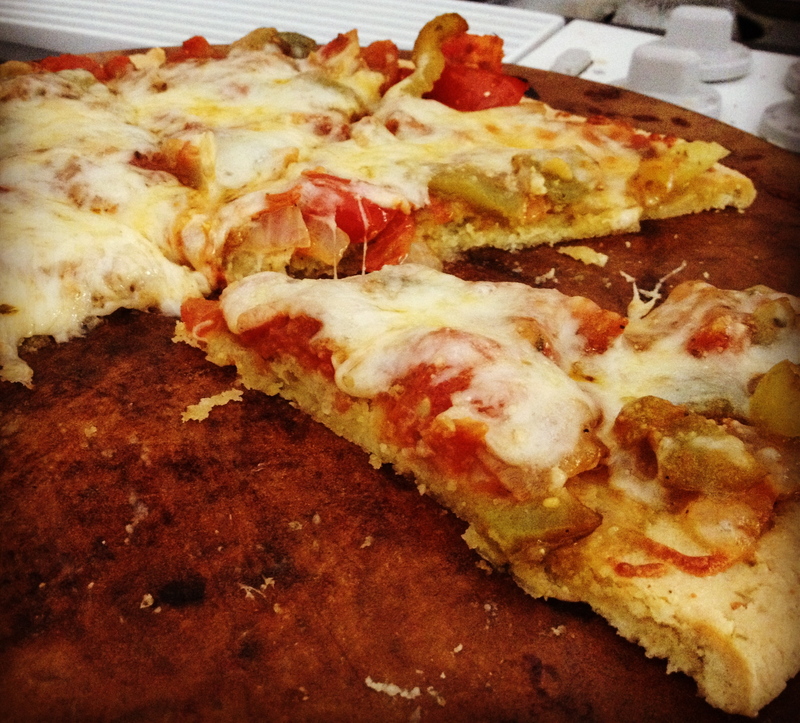 From cauliflower pizza that came out like polenta to tapioca flour pizza which was like homemade play-dough when I baked it. Alas, I made up my own, and I must say it’s pretty good. 2. Mix all ingredients together in a stand up mixer (or hand held). The dough should be sticky. 3. Coat pizza pan or stone with olive oil spray. I baked my pizza on a pizza stone. If you don’t have one, try baking it in a convection oven. 4. Bake for 18-20 minutes or until light golden brown. 5. Take out of oven and put pizza toppings on the crust. To make the whole pizza paleo, I believe you must leave out the cheese OR used aged cheese, however I love cheese FAR too much to leave this vital ingredient out. Bake for 8-10 more minutes. You can also put the oven on broil if you’re impatient. Then take out and eat at your leisure …or engulf the entire thing, I won’t judge. If you’re wondering where the other half of the pizza is, I devoured it before I got around to taking a picture. Yep, that happened. I made this tonight and it was tasty! I used almond flour that was not blanched (because it was all I had) and it was still tasty, although probably not what is intended. This made a nice large crust that was the perfect thickness. I baked the initial crust for 18 minutes, but it was probably a little too long (I also realized afterwards that my oven was at 400….duh!) Once I added my toppings, I broiled it (NO PATIENCE HERE) and the broiler made the rim of the crust a bit too dark. I would definitely make this again, but would take care to not over bake the crust intially or once topped. I would probably used a blanched almond flour as well. Great recipe! Thank you so much! You are hilarious- I often broil it at the end too (due to a lack of patience as well haha). Keep me posted on how your next one turns out. I love the input! Thanks! What is Natures seasoning please in the recipe? It’s a blend of spices and seasonings, and it’s delicious. This is what it looks like: . If you don’t have it or can’t find it, you could use something like Mrs. Dash, or make your own with a little bit of salt, pepper, onion powder, garlic powder, and dried parsley. I made this today for a early dinner late breakfast and lunch…….very tasty! Thank you! I have now tried hamburger crust, as well as the cauliflower crust. Your recipe brings me closer the my love for pizza. Thank YOU! I’m so glad you liked it. I haven’t tried hamburger crust, but that sounds interesting so I’ll have to try it out sometime! If I don’t have a pizza stone, can I use a nonstick cookie sheet? If I don’t have tapioca flour, could I substitute another kind, for instance, coconut flour? You could substitute with another “starchy” type flour such as arrowroot poweder. 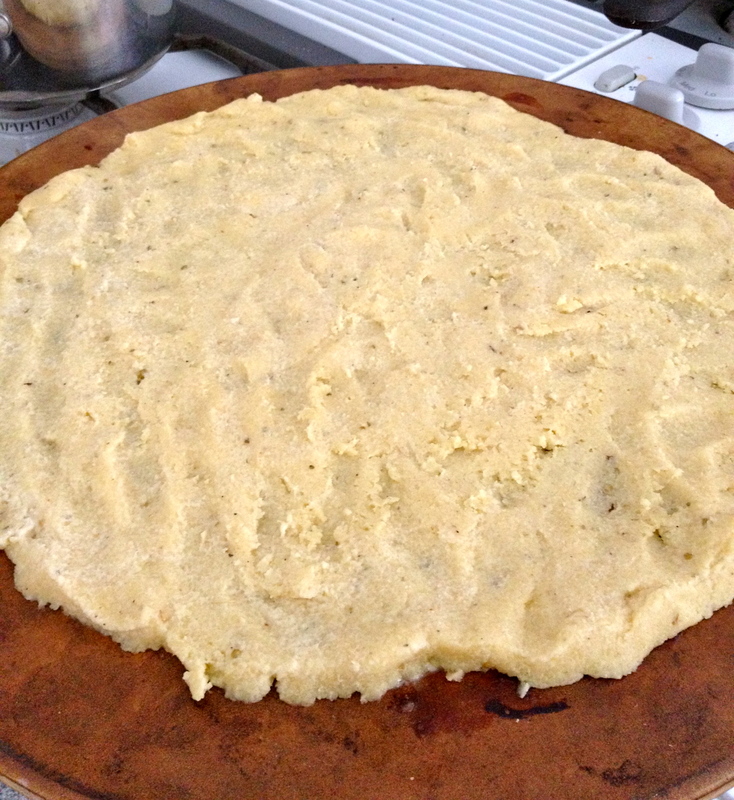 You could also try just using more almond flour in place of the tapioca- the consistancy will not be as pizza-like, but it would be better than using coconut flour since that type of flour tends to soak up a lot of liquid in baked items. I hope this helps!